When the temperatures drop and the nights are dark, life gets good. There’s something extremely comforting about getting home from work, getting out of the typically British weather and getting out of the way of the previous eight hours. It’s the time of the year that the freaks and the ghouls come into their own. We can hide in the shadows, our insecurities fading into oblivion. There’s nothing wrong with taking solace in a good book, legs curled beneath you, snuggling into your oldest jumper (with a cup of tea in hand, of course). It’s acceptable to abandon your friends for cosy nights in. But what else makes this time of year so spectacular? Ok, so this is beginning to become increasingly Americanised in this country, but the traditions behind the night are still some of my favourite. 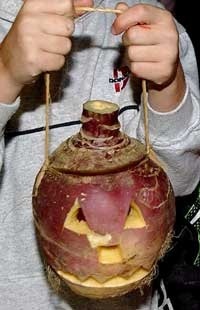 I’m determined to pass on a nostalgic idea of Halloween to my son; bobbing for apples, carving a turnip (I’ll let him do a pumpkin too I guess), dressing up in homemade costumes, and trick or treating around your neighbours, family and friends for some sweets or a few ten pence coins here and there! It really is a ghoulishly fun night! I love nothing more than meeting a friend for a Costa in the harsh winter months. The welcoming atmosphere and the inviting smells just draw you in, embracing you and protecting you from the cold. 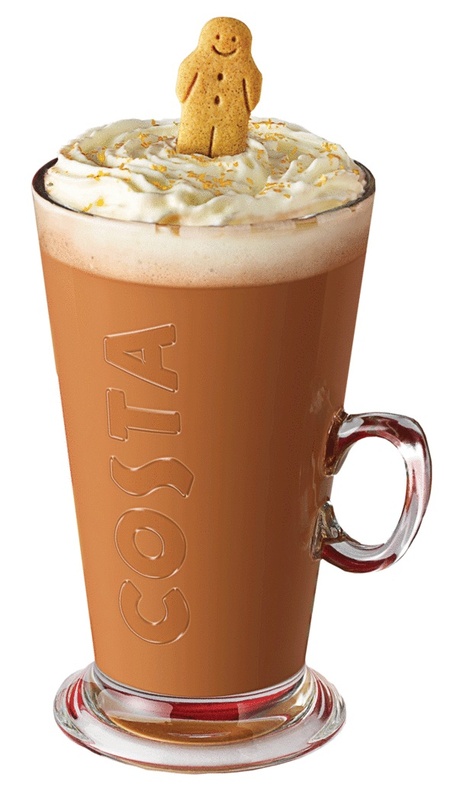 Currently, my favourite is the Hot Spiced Apple with hints of cinnamon, but I cannot wait for the special Gingerbread Lattes to become available. 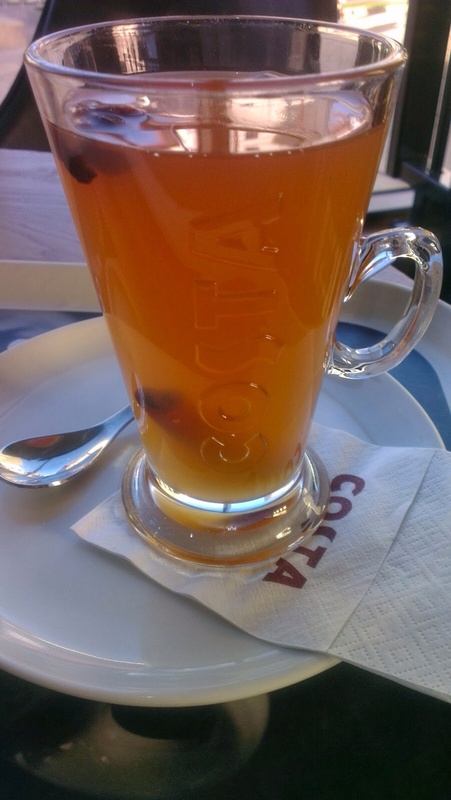 Nothing warms you like a Costa hot beverage! You can leave your chick-lit, autumn and winter are all about the classics! 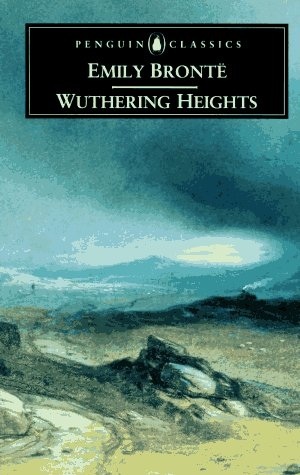 I do love to curl up with an old favourite, and Wuthering Heights is my go-to book. There’s something about the tempestuous setting, a symbol for Heathcliff and Cathy’s relationship, that makes you want to hide away and lose yourself in the pages. 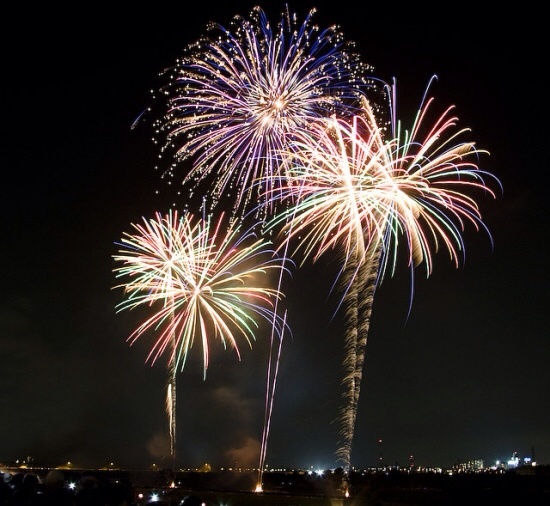 Fireworks, sparklers, toffee apples, baked potatoes and hot dogs. Just a few things that I associate with November 5th. My husband and I have gone on our “drive by date” since we met in 2002! We’ve dragged our son into the proceedings for the past two years. I hope he’ll love it as much as his parents do! It truly is the most wonderful time of the year. 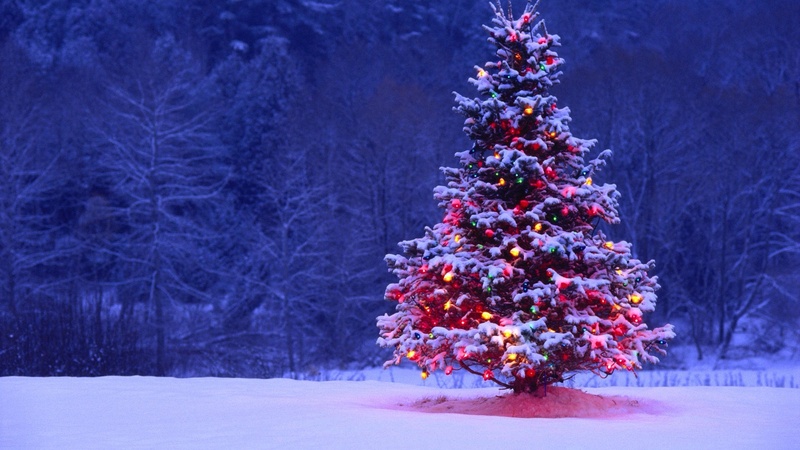 I’m not going to wax lyrical about Christmas, but there’s just something magical about the whole season. I love spending time with my family and friends, just celebrating life and being together. Christmas movies start in November and the decs are up from December 1st (much to my husband’s dismay). The festivities and joy simply make life good. I wish it could be Christmas every day, as the song goes! Some people see the doom and gloom set in October, but I see the world coming alive. My heart belongs to the dark, my heart belongs to the season. A mentor and coach in the making. Empowering people to live their best lives. I'm a mam, a wife, a sister, a friend, a teacher, a Forever Living teamie, a lover of rubbish TV, an avid reader and so much more. Fabulous and Us is my life! Come and join me!